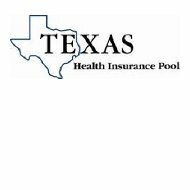 A review of the Texas Health Insurance Pool Company finds the Texas Health Insurance Pool, a program created by the Texas Legislature in 1989. The Pool wasn’t given funding until 1997, at which time the original program was amended and provided with startup expenses. The Texas Health Insurance Pool only covers a small percentage of customers, so if you are looking for health insurance quotes, please type your zip code into the box on this page. The purpose of the Pool is to help provide health insurance coverage to Texans who otherwise would not qualify for health insurance because of their medical condition. It also covers people who are eligible under the Health Insurance Portability and Accountability Act of 1996 (HIPAA). A Board of Directors, appointed by the Texas Insurance Commissioner, manages the Texas Health Insurance Pool. The Pool’s Board of Directors consists of nine members, representing the insurance industry, the public, and the medical community. Public members may either be those that benefit from the Pool, or their parents, or anybody else not affiliated with a medical or insurance company. They are under the age of 65, have been refused by another health insurance company because of a pre-existing medical condition or other health reason. Family members and dependents are also eligible if they are under 65 and have been legal U.S. citizens for three years or longer. At the end of 2010, nearly half of all Pool enrollees qualified under HIPAA guidelines. The plan collected $215 million in premiums, while paying out nearly $304 million in claims. The Texas Health Insurance Pool makes up the shortfall through assessments to health insurance providers. Enrollment at the end of 2010 consisted of 26,431 policyholders, which, despite the poor economy, was actually a decrease from the start of the year. The average Pool client is around 51 years old. Customer service can be reached toll-free at 1-888-398-3927 or via email at [email protected]. There are five choices of Texas Pool policies, varying by cost of insurance deductible and coinsurance charges. The calendar year deductibles are $1000, $2500, $3000, $5000, or $7500. Most policyholders choose the high deductible plans in order to pay lower up-front premiums. There is also a prescription plan that offers pharmacy co-pays and mail-order service through Medco. Co-pays range from $10-$25 for generics (30-90 day supplies) and $25-$60 for name brands. Generics are also provided before name brand medications, where possible. Health insurance for the pool is currently offered through a three-year contact with Blue Cross Blue Shield of Texas. Because of the nature of its insured customer base, the Texas Health Insurance Pool charges two times as much as the rates for policies in the standard commercial health insurance market. While an independent actuarial firm sets the standard rate, the Pool’s Board of Directors decides on the premium rate, with final approval by the Texas Commissioner of Insurance. Policyholders may pay their premiums monthly via automatic bank withdrawal or via mail on a quarterly, bi-annual, or yearly schedule. Chances are that you don’t live in Texas or don’t meet guidelines for coverage via the Texas Health Insurance Pool. If this is the case, we can still help you out! Simply put your zip code into the box on this page and then shop through the health insurance rates from several insurance providers in your specific area!